FULTON, NY – Dorothy I. Decker, 77, of Oswego, passed away after a brief illness on Wednesday, September 5, 2018, at Upstate University Hospital, Syracuse. 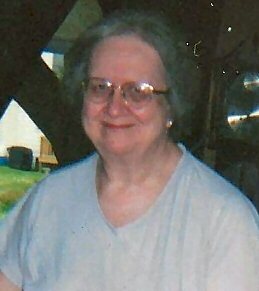 She was born on July 21, 1941, in Oneonta, a daughter to the late Dwayne and Marguerite Short Borden. Dorothy enjoyed reading and completing her word search books. She was predeceased by her husband, Charles Decker; and brother, Charles Borden. She is survived by her daughter, Karen (Louis) Brown of Oswego; two grandchildren, Nicole Smith and Allison (Timothy) Gioia; five great-grandchildren, Alexander Hahn, Zacharia Hahn, Hunter Smith, Sonja Smith and Jemini Abbott; as well several nieces and nephews. Calling hours will be held noon to 2 p.m. on Wednesday, September 12, at Foster Funeral Home, 910 Fay St., Fulton. Remember her fun loving personality and her smile when we were working at Nestle’s. Everybody liked Dorothy! Prayers of comfort to her family. Dorothy was a warm and fun loving woman. Prayers to her daughter and grandchildren. she always worked hard, but was always pleasant and smiling. sorry for your loss.